It's tough being a public green space in a summer like the one we have had - too little rainfall, too much footfall! 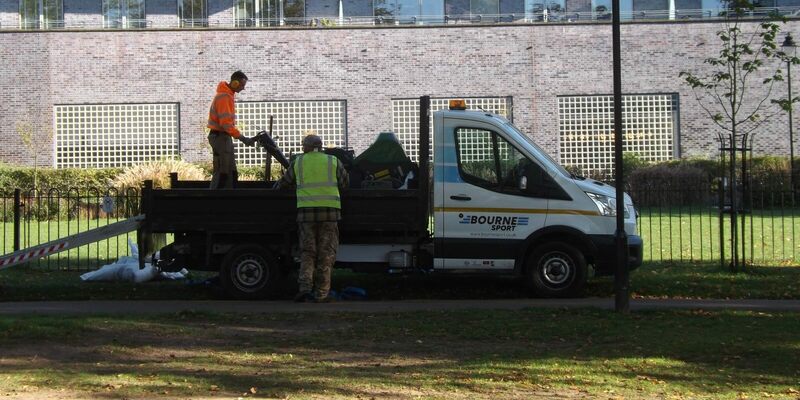 Fortunately Bourne Sport are there to help restore the lawns, scarifying, re-seeding, top-dressing and generally repairing things. 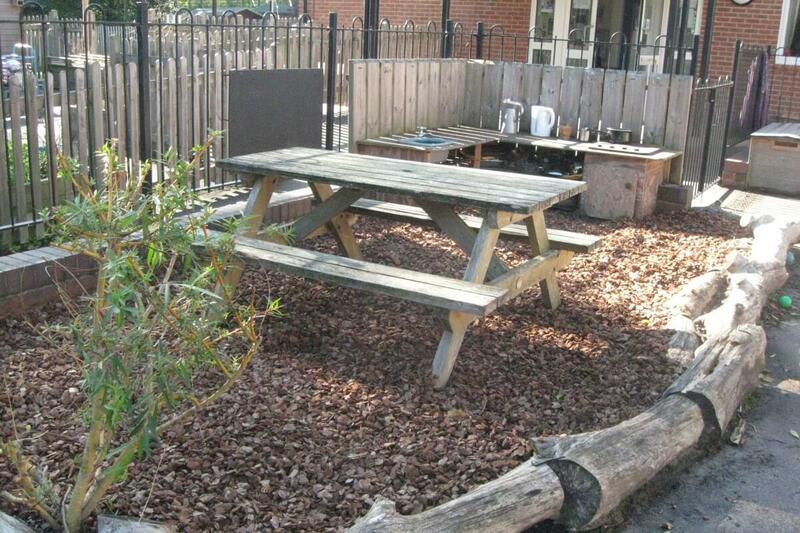 On contract to IdVerde, we are working throughout the London Borough of Camden at present. Here you can see Richard and Jason unloading various kit at Fortune Green in West Hampstead. In fact, the centre of the small park was still baked so hard that it was really only possible to work the edges - but they got well and truly scarified and overseeded. 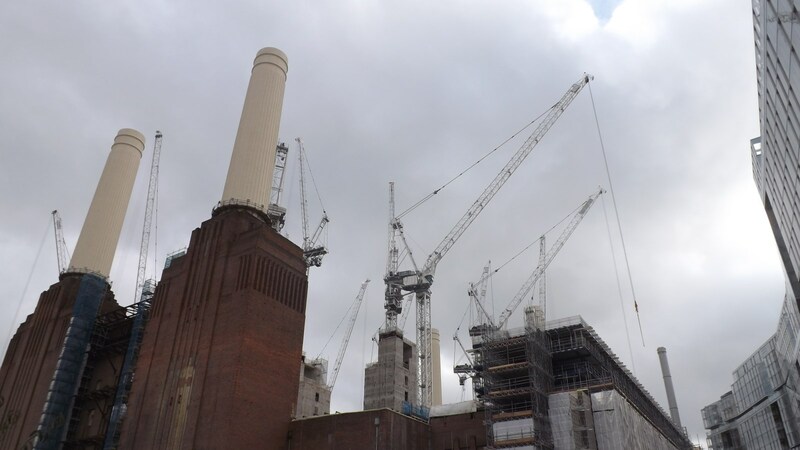 Bourne Amenity attended the long anticipated Battersea Power Station Development Tour event, perfectly organised by the BALI East Anglia Chairman, Kevin Harden. We show-cased our lightweight substrates to the 50 delegates and fantastic guest speakers, along with the development team from Mace. 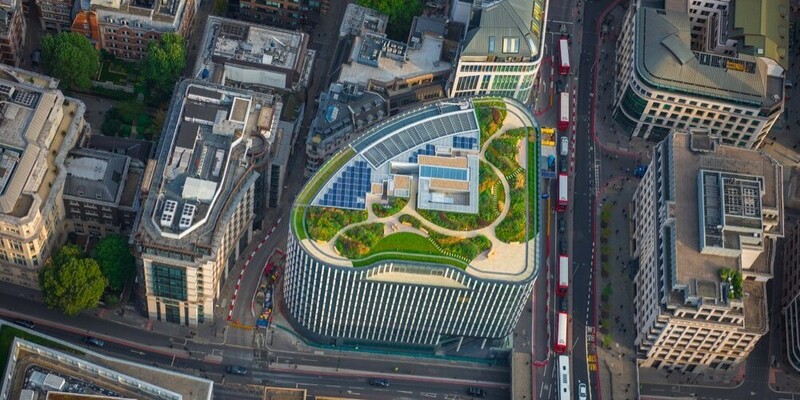 In the morning, there were presentations of the overall design philosophy behind the landscaping work from Ben Walker at LDA Design followed by Nick Haddock of Andy Sturgeon Design detailing the thought process of the three separate roof gardens planned for Phase 2 (the power station building itself, with roof garden area totalling well over 8000m²). The designs tie in with the historic cultures of the building and surrounding area, something we’re sure will please the staff at the new Apple European HQ that will be located there. The Project Development Team from Mace then gave a bigger overview of the whole development project, covering the history of the Power Station and the 42-acre surrounding area, as well as an introduction to the additional phases detailing the new Prospect Park (soon to be the largest play area in Wandsworth), including the very impressive, not to mention huge 2.5 acre roof garden in Phase 3, designed by Frank Gehry and Foster + Partners. The additional details of the of the new £1bn Battersea Power Station Tube Station, which will be connecting with the Nine Elms development, will ensure the development of the iconic Power Station not only attracts the interest of the new buyers, but delivers a new community which is at the core of the development. After lunch, we were then taken in small groups to walk round the Power Station building site - very interesting! The facts and figures surrounding the project are, as might be imagined, astoundingly colossal. The original power station usedup to a million tonnes of coal every year, carried in on the Thames in barges to its own jetty. The boilers were then using one and a half million tonnes of water from the river every day. The maximum generating capacity was half a gigawatt, about a fifth of London's total electricity needs. The building is also one of the world's largest brick edifices, containing more than seven million bricks - two million of which are in the process of being replaced as part of the current redevelopment project - which was somewhat of a challenge considering the brick manufactured closed its doors before being brought out of retirement to help revive the Grade II* listed building. After a number of false starts on various redevelopment projects, the site was finally acquired by Malaysian developers in 2012. The project is planned to have six phases, the first of which is already built. Future phases will include affordable housing and in total, there will be some 4,000 dwellings with nearly 400 bars and restaurants on the site. This will all be powered from a modern gas-burning power station located 2 stories underneath the 6 acre Prospect Park located between the former power station and the river. It was an amazing day, full of mind-boggling information and we are very grateful to BALI East Anglia for having given us the chance to take part. Having to wait until 2020 for landscaping stages to start seems too far away but will be eagerly anticipating getting involved along the way in the meantime. ProLandscaper Magazine has just launched their very first Podium Awards - and Bourne Amenity is the headline sponsor! The awards will recognise the achievements, past and present, of landscapers, landscape architects and garden designers in the podium landscaping industry. The aim is to give projects that may have been previously overlooked the recognition they deserve. There are five categories and entries have just opened. The award ceremony will be at the Futurescape Spring event on 12 March (at Sandown Park). Here's what Jonathan said at the launch of the awards: "Bourne Amenity Ltd are proud to headline sponsor the inaugural Pro Landscaper Podium awards and salute the recognition of an integral part of modern urban planning. We have been working with architects and contractors on podium planting and related SuDS schemes for almost ten years. Over this period, these beneficial installations have become mainstream, and our range of planting substrates is constantly evolving to match the imagination and ambition of designers. These awards will act as an incentive for our clients to push the boundaries of podium design, and mark another positive step towards a greener and healthier living spaces." 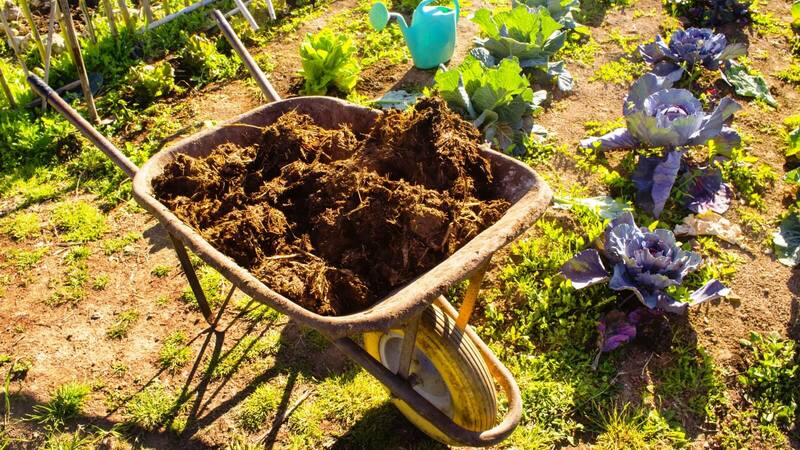 Full details are on ProLandscaper's website. We'll be monitoring progress closely, of course - watch this space!